The Arctic is under attack. Global warming is rapidly changing what used to be a frozen world. In a two-part series Bo Landin visits Greenland and Iceland to find out what climate change is doing to the Arctic. “As a biologist I have visited the Arctic for more than 25 years. I now return to a place where climate change brings threats, and hopes, to a frozen world”, Bo Landin comments. Greenland, a country about to become what it’s called: a green land in the wake of climate change and global warming. What is especially obvious is that the inland ice in Greenland is melting at a faster pace than ever. 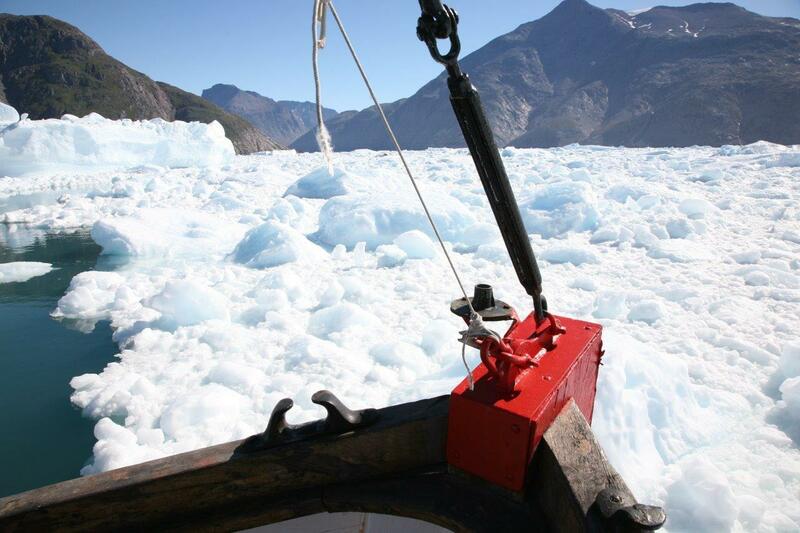 The fiords are filled with more and more ice. The story about Greenland’s glaciers is nothing short of frightening. They are moving 210 % faster now than they did ten years ago. The amount of ice that reaches the ocean each year has, in ten years, increased from 90 cubic kilometers to 224 – and the increase continues. No wonder the fjord is jam packed with ice.